The first step is to make your "eggs". Soak the 3 tablespoons ground flax seeds into 9 tablespoons of water and leave it for about 10 minutes to incorporate. Melt the extra-virgin coconut butter with the unsweetened dark chocolate bar on a water bath. In a large mixing bowl,combine the corn and rice flour,dark cocoa powder,stevia,baking powder and salt.Mix well. After that,add the vanilla almond milk,vanilla extract and the ready flax eggs.Mix again. Add the melted coconut butter and chocolate bar to the bowl also. Finally add the crushed walnuts into the batter and mix everything together very well.Until everything is well combined. Preheat your oven to 350°F or 175°C degrees. 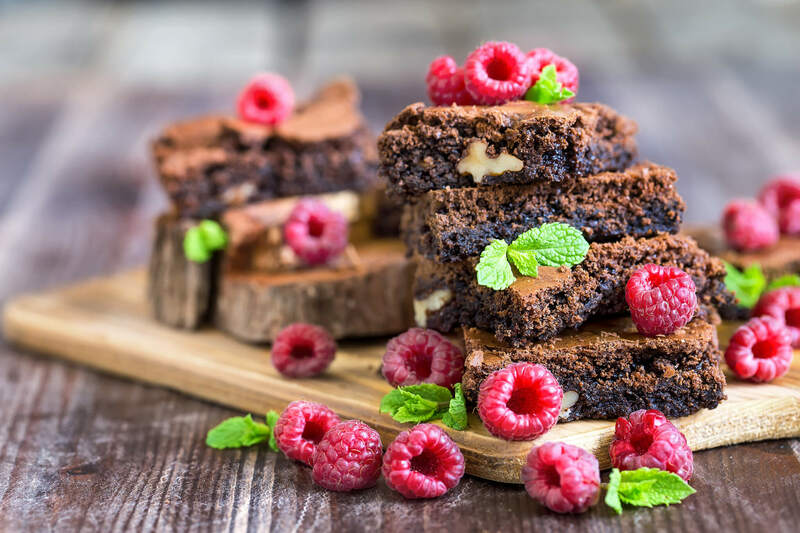 Take a baking dish or spring form pan and place a baking or parchment paper on the bottom.Grease it some more coconut butter or spray some non-stick cooking spray to prevent the brownies from sticking. Pour the ready brownie batter into the greased dish. Bake it for about 30 minutes or until a toothpick inserted in the center comes out clean. After baking,remove from the oven,cut into pieces,serve and enjoy. 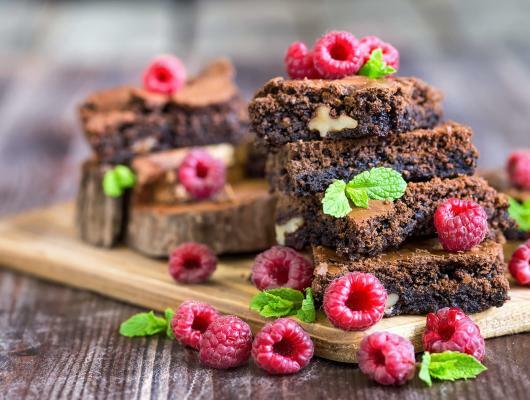 And here is the classic dessert – Brownie. This yummy and sweet treat is one of my best favorites. Of all time. It so,so tasty. And so flavorful.The best dessert ever.